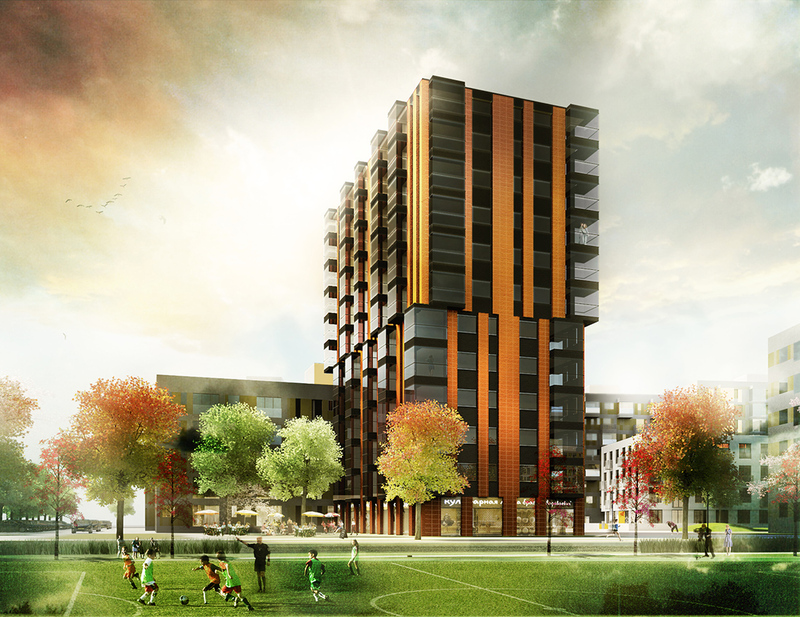 The project is based on creating a specific interaction between build environment and green. 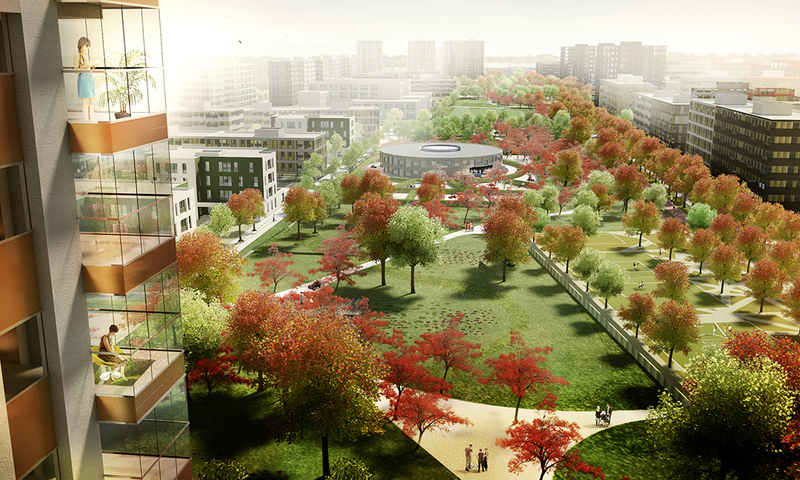 The concept is rooted in a European town planning tradition of planting large parks amid residential and working neighbourhoods. These very popular urban quarters around parks can be found in cities like Amsterdam and Hamburg, as well as in many Russian cities, planned in a certain period of Soviet era. Edged by roads to the west, north, east and south, an attractive urban living environment is emerging in the city. 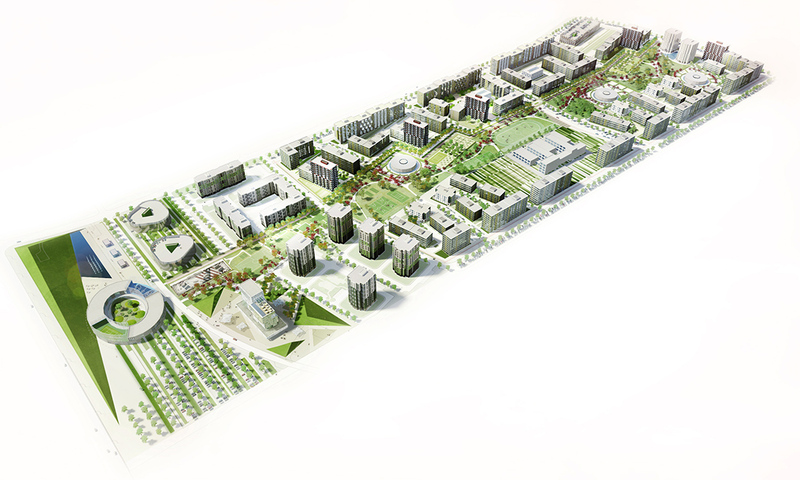 All of the buildings adjoin this central green space. To activate the park, the functions and facilities which are normally located within the block are centralized. Sports facilities are combined into public sport clusters. 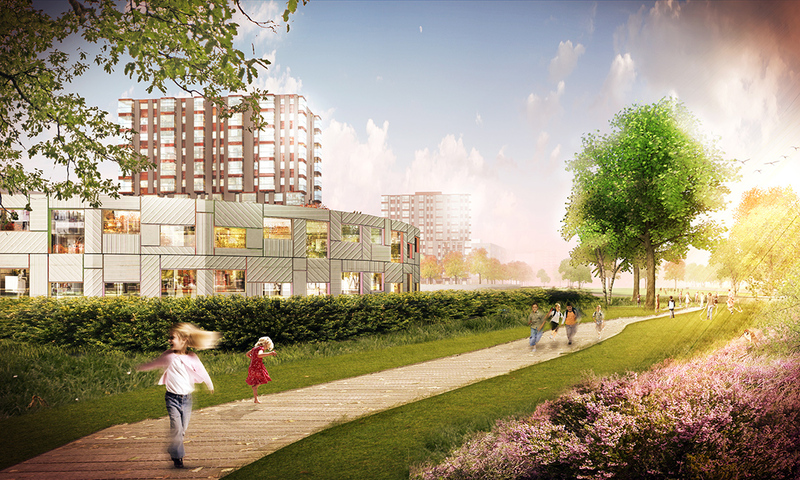 Together with the kindergartens they create neighbourhood destinations in the park. Playing areas are integrated in a 3-dimensional landscape. Grass hills with playgrounds alternate with depressions, which may temporarily fill with water. Specially designed squares along the boulevard in the west, and wooden piers along the flower path in the east, connect the park to the neighbourhoods. The aim of the park is to create a public space which can be used during the whole year, offering an enchanting realm in every season. 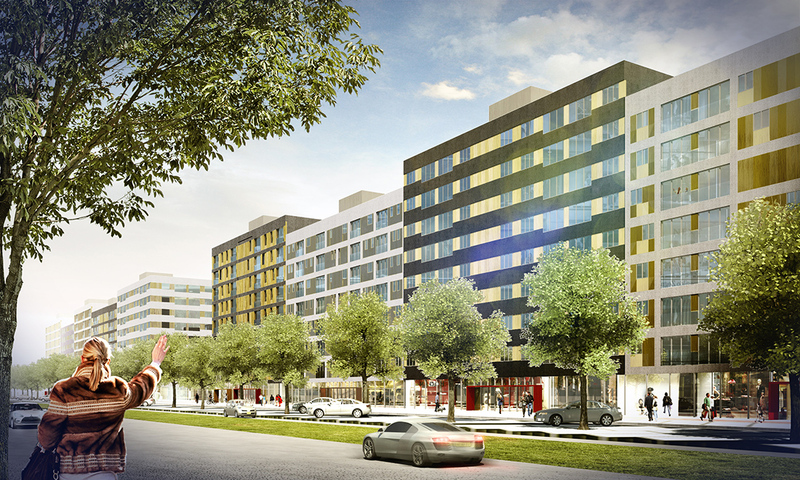 The project is a 42 ha residential area for 9.000 new residents.